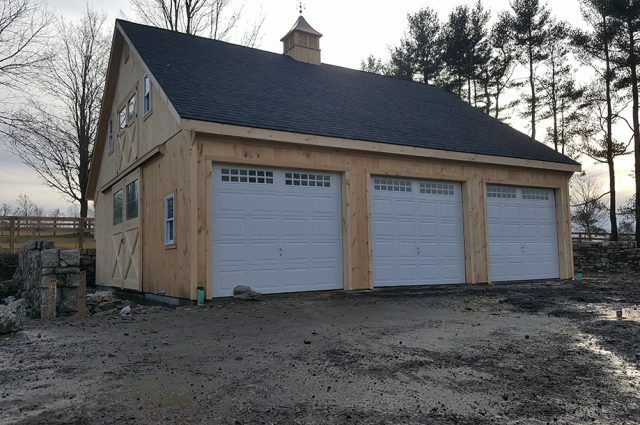 Finding a secure space for storage in Connecticut can be hard to come by, but J&N Structures can provide a safe custom garage for any use! 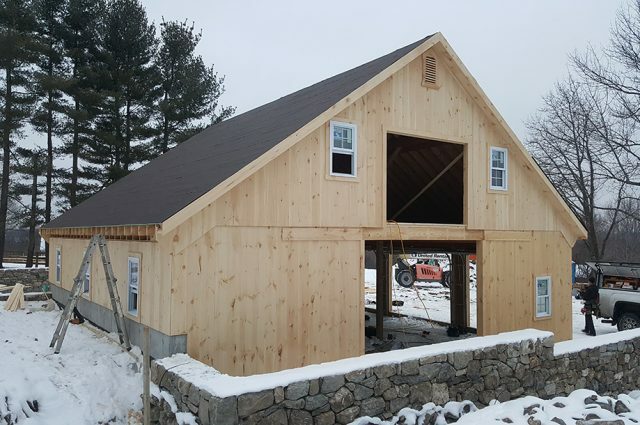 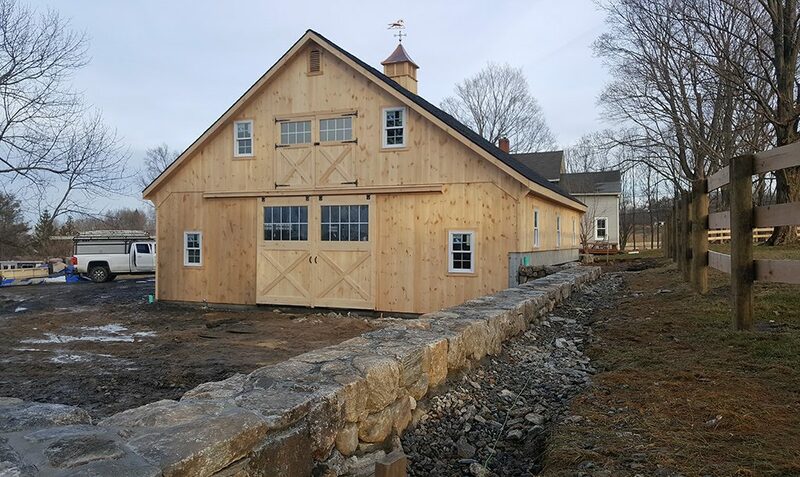 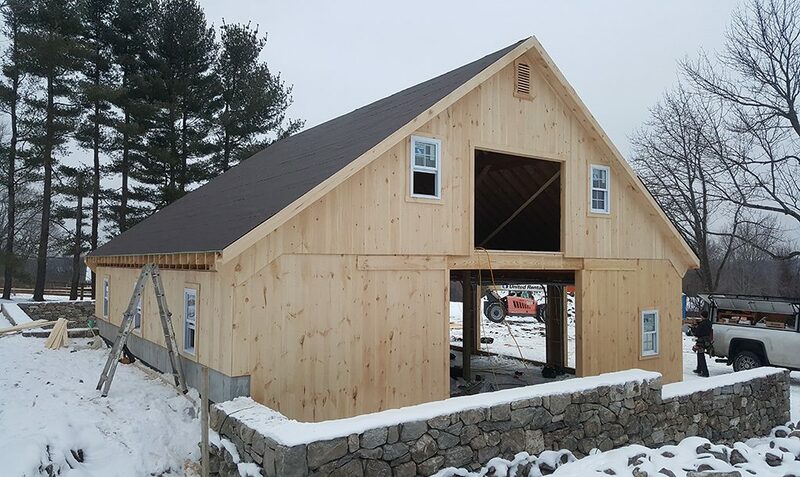 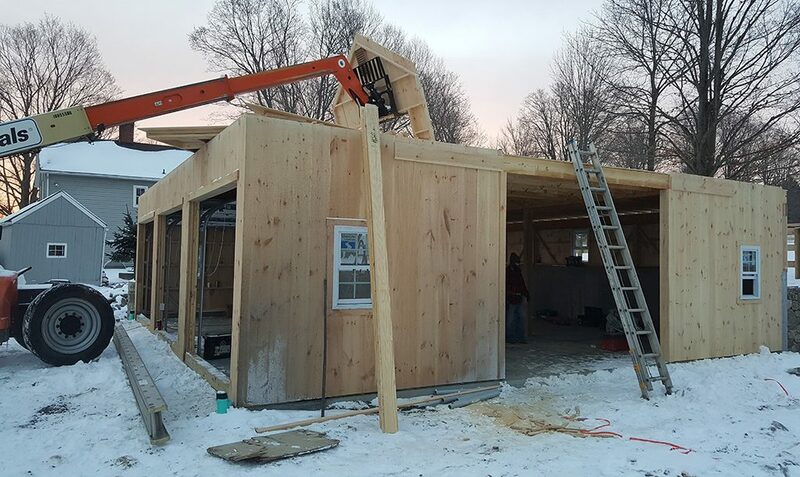 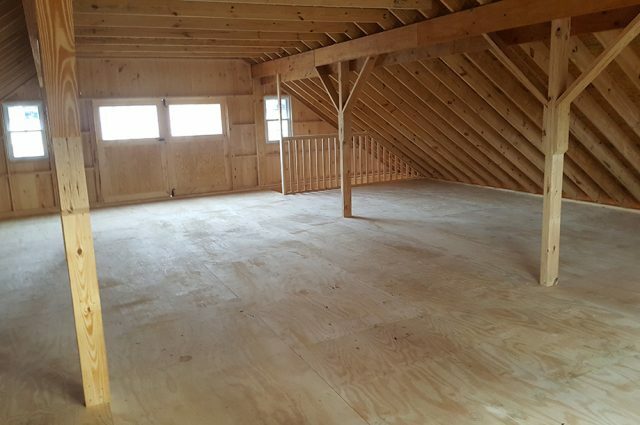 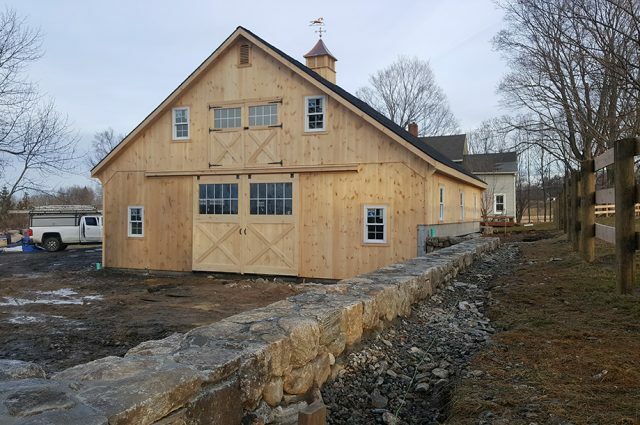 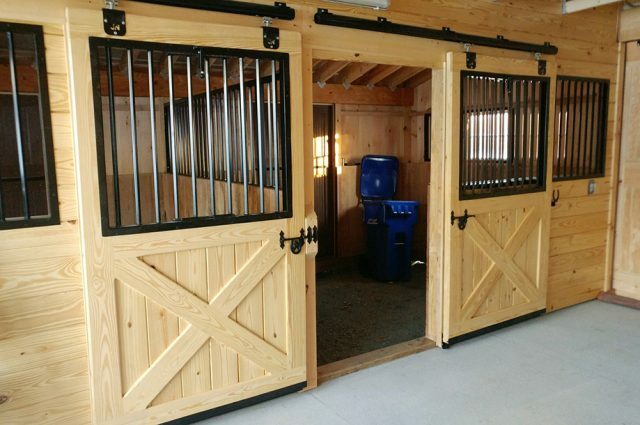 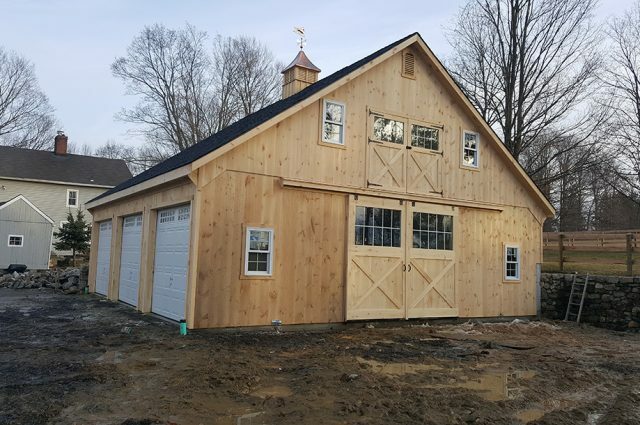 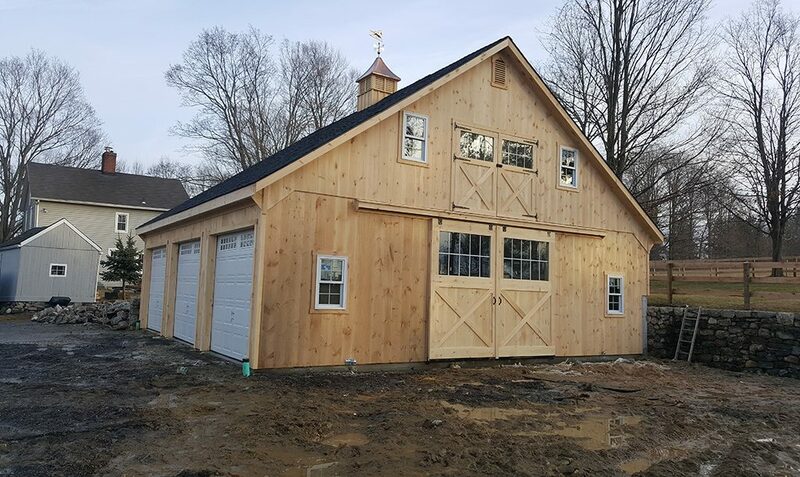 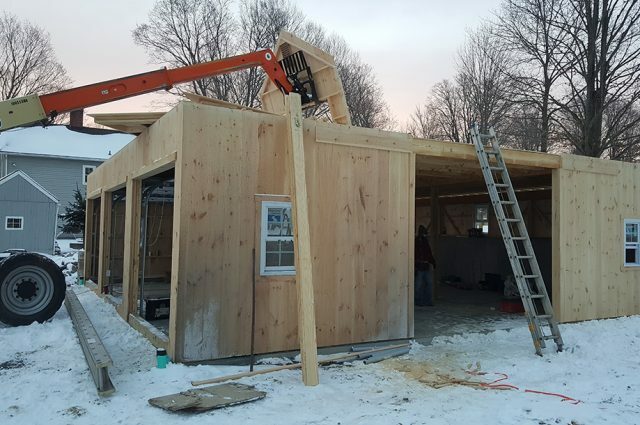 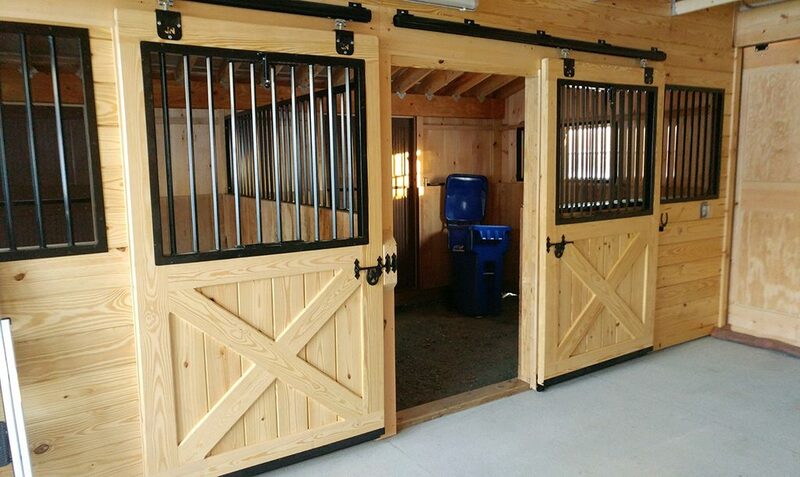 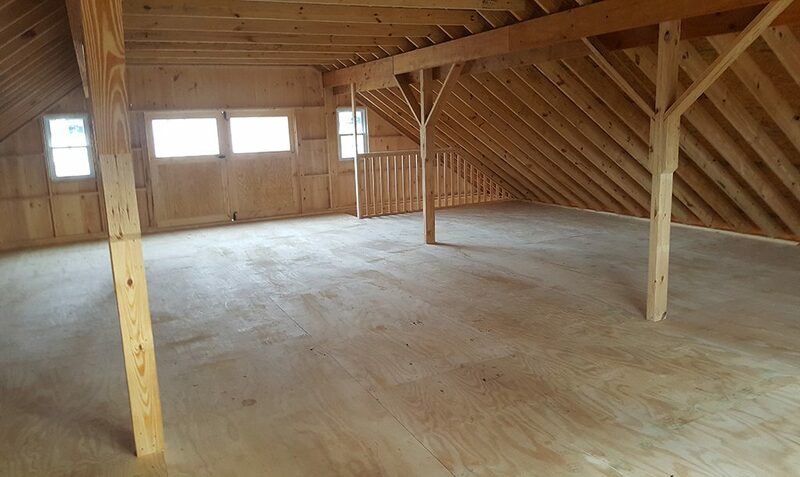 This specific structure we built in Ridgefield is a high country style barn with an all open interior, perfect for parking cars or storing belongings. 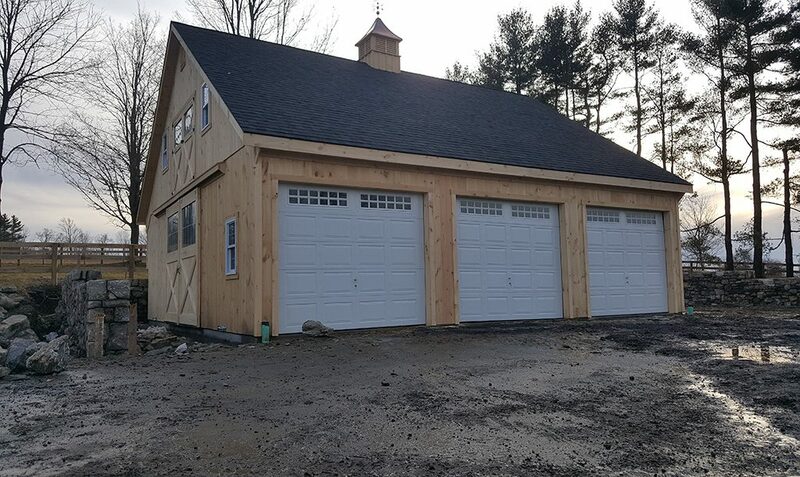 On the exterior, tongue and groove siding, overhead doors with windows, and double hung windows can be admired. 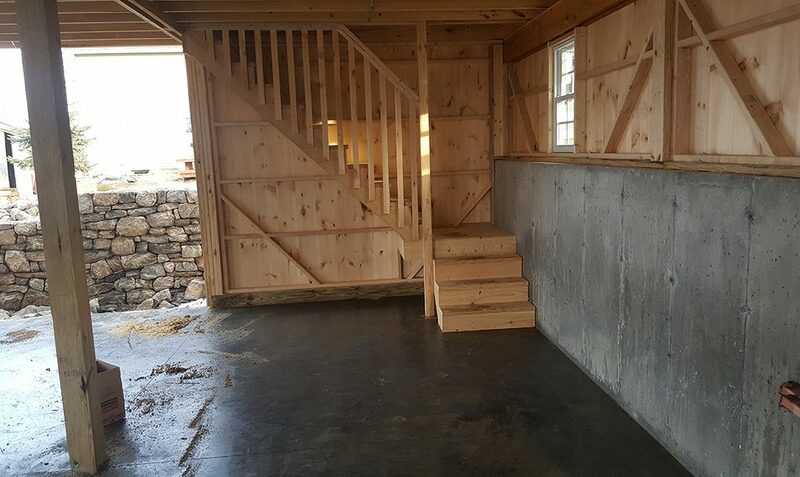 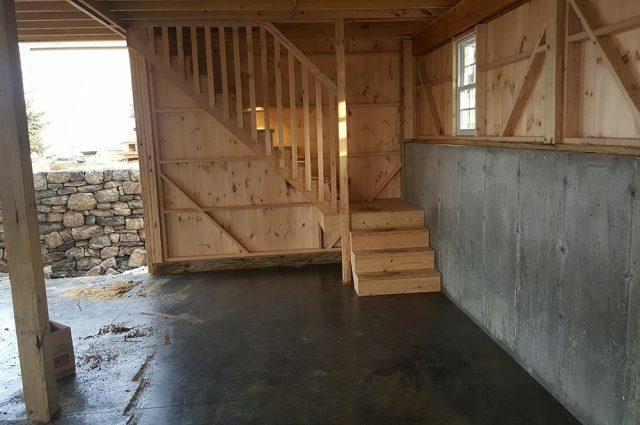 The inside of this garage has spectacular L-shaped stairs leading to the loft space in addition to a stone and concrete wall!